My group is interested in understanding how underlying bacterial cell-cell interactions shape larger macroscopic population dynamics and microbial community structure. Specifically, my research focuses on studying the type 4 secretion system (T4SS) and type 6 secretion system (T6SS). Both T4SS and T6SS are employed by a wide variety of bacteria to deliver biomolecules into neighboring cells. The T4SS notably mediates horizontal gene transfer between bacterial cells through conjugative transfer of DNA, while the T6SS is used by bacteria to deliver toxic effectors into adjacent bacterial or eukaryotic cells. 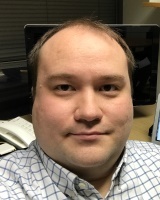 My work includes identification of essential gene components of the T6SS of Vibrio cholerae, identification a new class of secreted T6SS effectors, and observations on how the T6SS of Pseudomonas aeruginosa is activated in response to external stimuli, including how the T6SS can respond to T4SS-mediate DNA conjugation events. 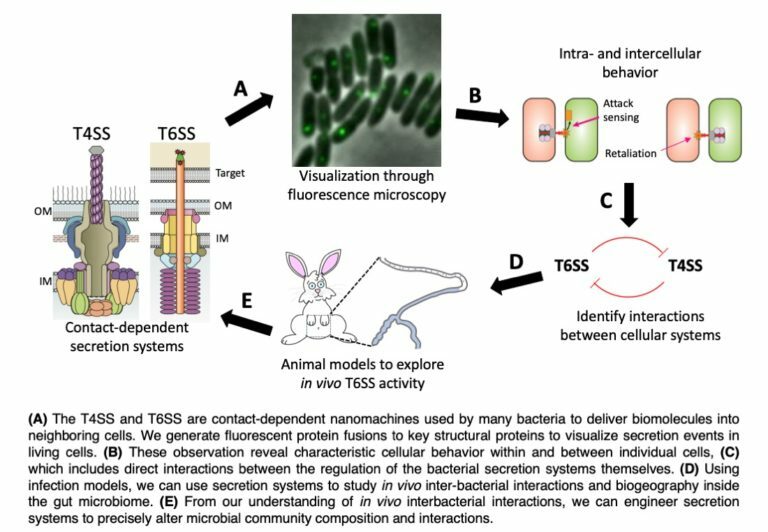 More recently, my research has turned toward studying the role of T6SS in more complicated microbial communities, such as during Vibrio cholerae infection, as well as developing biotechnological applications of the T4SS and T6SS. Fu, Y., Ho, B. T., Mekalanos, J. J. Cell Host Microbe (2018) 23 (2):274-281.e2. Ho, B. T., Fu, Y., Dong, T. G., Mekalanos, J. J.
Ho, B. T., Basler, M., Mekalanos, J. J.